This digital era witnesses that people are increasingly depending on digital and cell phone to take picture and record videos for special events, occasions with family, cherished cases. Camera stores all photos and videos on one little chip which is called memory card. Memory card is referred as the small chip inserted in digital camera, which is utilized to provide storage space for images, videos you take. It can work with different brands of cameras. It was expensive when it was just produced, but now it is not. The most obvious advantage is that it can store really large amounts of data, for some memory card comes with 128GB. If the average size of each picture is 5M, so how many picture one memory card can hold? You do the math. Occasionally, you may not be able to access file on the memory card when it reports error information, such as “The disk in drive H is not formatted.” This error shows that the device if corrupted, as the file system is damaged. In this case, the memory card can’t be opened and files are inaccessible. 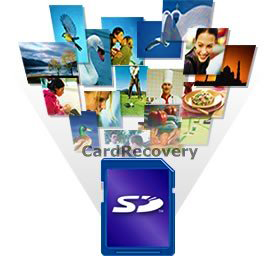 Formatting repairs file system and makes the card normal. 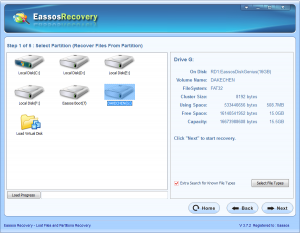 However, formatting erases all files previously stored on the card. Another major cause of picture loss is deleting file by mistake. When the memory card is running out of space, you have to delete some photos to free paces. 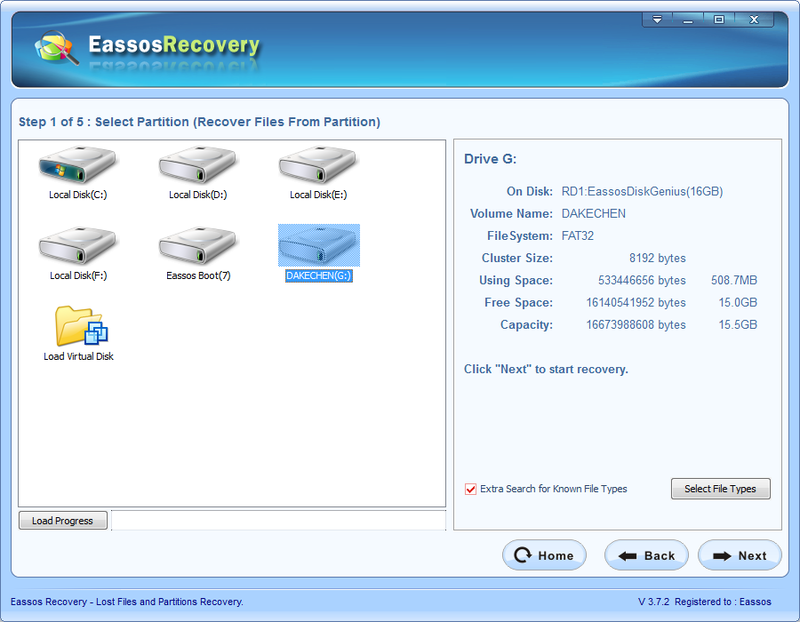 The simple deletion only removes the selected file, but some people may use “Delete All” operation by mistake. Besides, memory card may infect virus as it is often plugged to computer for file backup. Virus may damage or delete files as well. Thus there is necessity to install anti-virus programs. How to recover deleted and formatted photos? If your memory card encounters data loss, and you don’t have to be jittered. You can use Eassos Recovery to start memory card recovery. 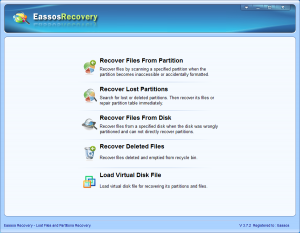 Eassos Recovery is the best choice to get back deleted or formatted files from memory card within a few clicking of some buttons. Step 1: Download and install the program and connect the card in problem to computer via card reader or memory card slot. 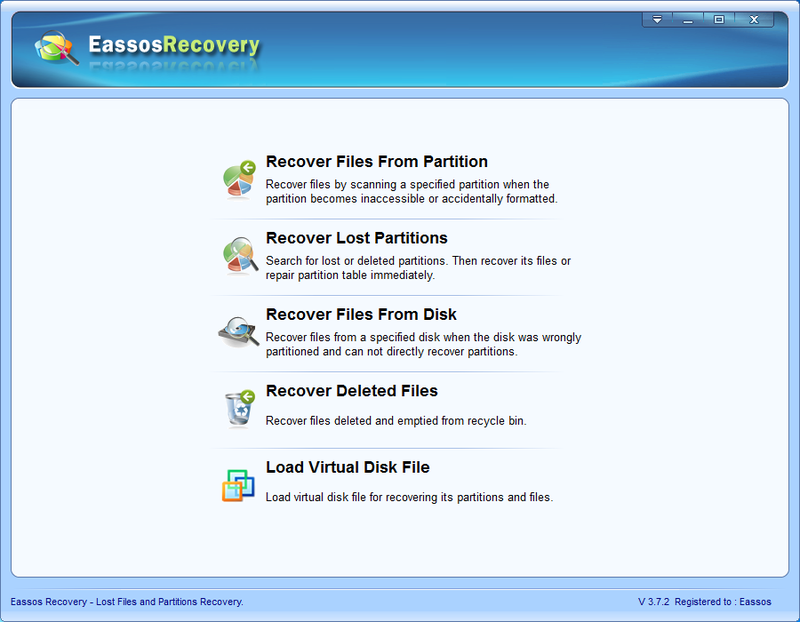 Step 2: From the main interface you can select the suitable feature for the actual data loss situation. Step 3: Select the memory card that shown in the program and click “Next”. If all lost files are pictures, you can click the button “Select File Type” to select file types you want. Subdirectories of “Photo Files” are classified by file types which are produced by different brands of digital cameras, for example, Canon RAW Image, SONY ARW RAW Image, Mamiya MEF RAW Image, etc. Scanning process begins after you click the “Next” button. Step 4: After the file scanning process, you can preview files and save desired files to another location. 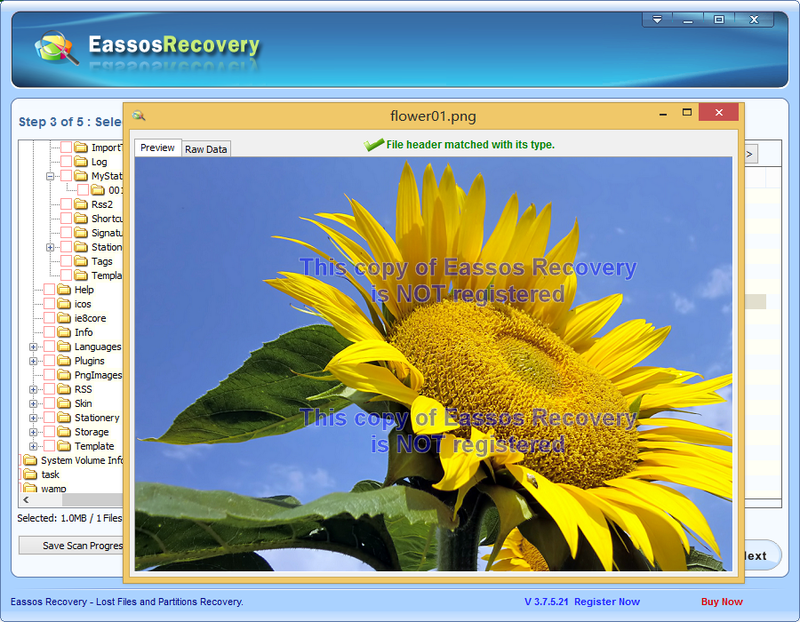 This entry was posted in Data Recovery and tagged memory card recovery, recover deleted data, recover deleted photos by EASSOS. Bookmark the permalink.